Acknowledged as one of three great fashion creators of the 20th Century along with Vionnet and Channel. Opened his business in Paris in 1937 creating elegant fashion for the cream of international society, royalty and film stars. His design innovations include the baby doll dress, the balloon dress and the sack dress. Among his proteges: Givency, Correges, Paco Rabanne and de la Renta, Ungaro. 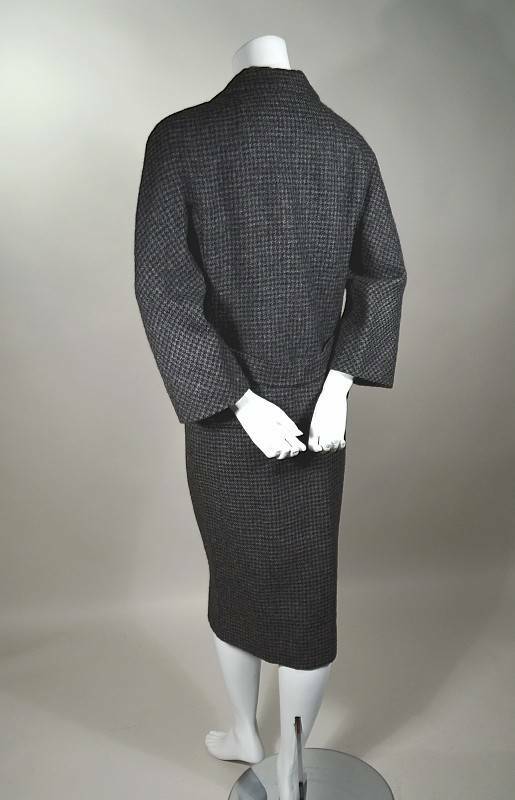 1960s vintage Balenciaga two piece afternoon suit. 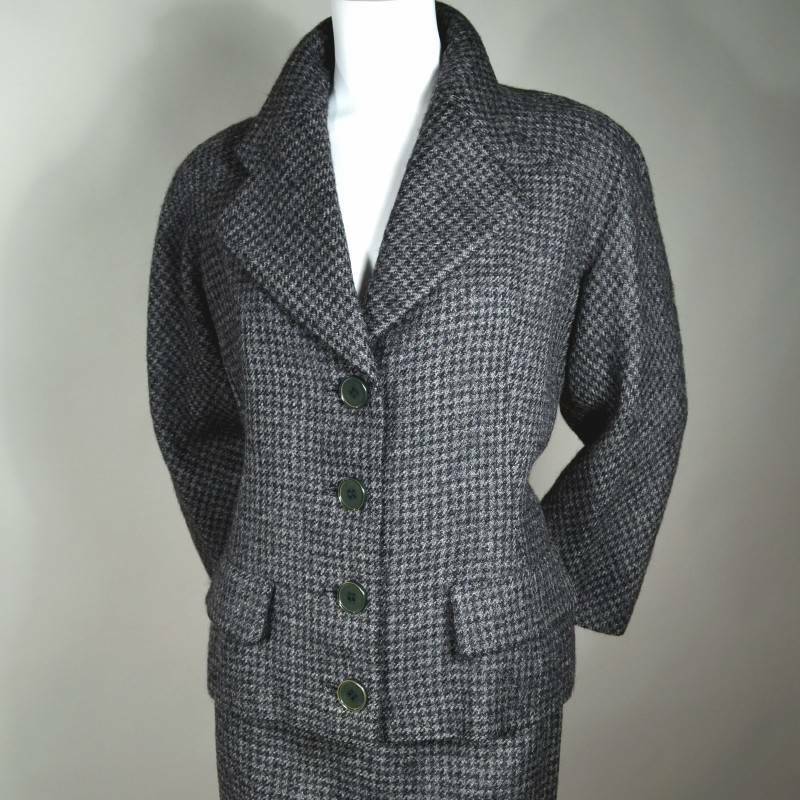 Charcoal and medium gray houndstooth wool and black silk. 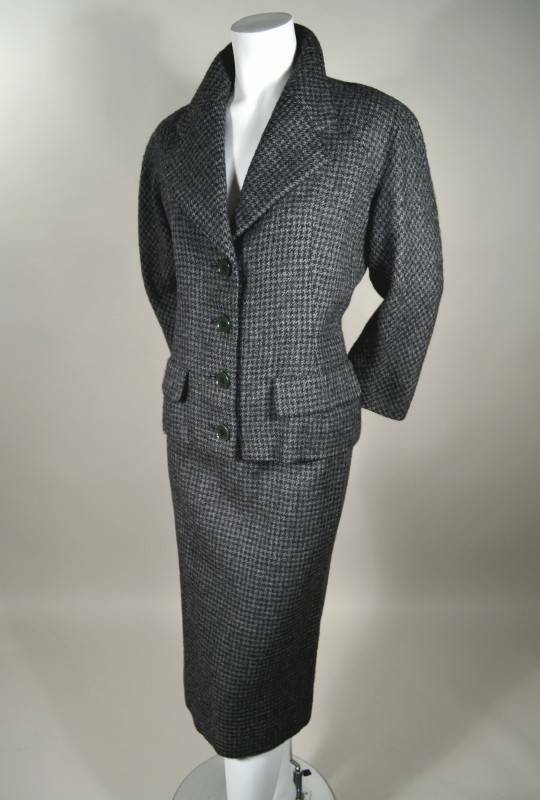 Single breasted boxy cut jacket with wide notched lapels. 3/4 length raglan sleeves. Four buttons front, two buttons at back belt, all with bound button holes. Two faux pocket flaps lower. Button on 1/2 belt back. Rounded cut vents back left and right at hem. Jacket weighted at hem. Slim cut skirt with applied waistband and angled darts. Metal Éclair zipper closure.